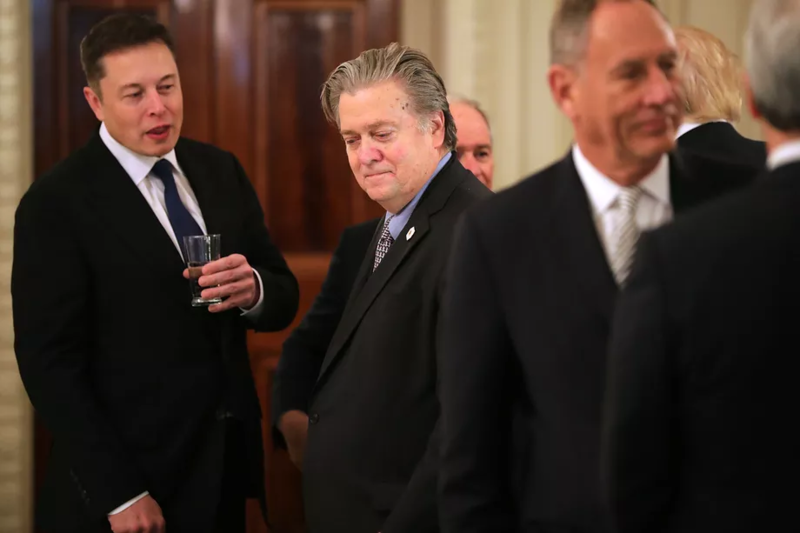 The Tesla and SpaceX CEO defended his attendance at Trump’s business council — again. Tesla and SpaceX CEO Elon Musk has taken to Twitter to explain, again, why he is continuing to attend meetings of President Donald Trump’s business council. His argument: Going to the meetings doesn’t mean he endorses Trump’s policies, and it gives him a chance to try influence Trump. This is the same argument Musk made in advance of Friday’s meeting, which included CEOs of companies including General Motors, Pepsi and J.P. Morgan. No word yet on what happened as a result of climate change discussions on Friday. But it seems as if Trump’s mind remained unchanged on the travel ban. Musk’s “attendance doesn’t equal agreement” argument hasn’t swayed everyone. Earlier this week, Uber CEO Travis Kalanick dropped out of Trump’s council, arguing that one, people thought Uber was endorsing Trump’s policies and two, he disagrees with Trump’s policies, particularly the travel ban. Disney CEO Bob Iger didn’t show up to Friday’s meeting, either. But in his case, his company cited a schedule conflict.